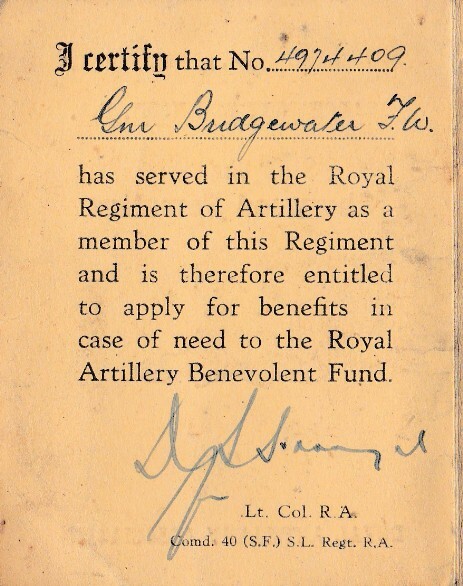 Gunner Fredrick William Bridgewater. My Grandfather. 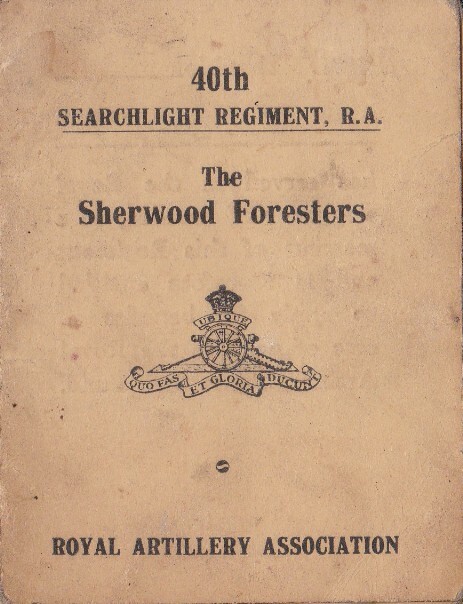 Served during the war in the 40th Searchlight Regiment (R.A.) The Sherwood Foresters. 1939-1945. Humber Estuary anti-aircraft units. (No. 4974409). He joined the Chesterfield T.A. 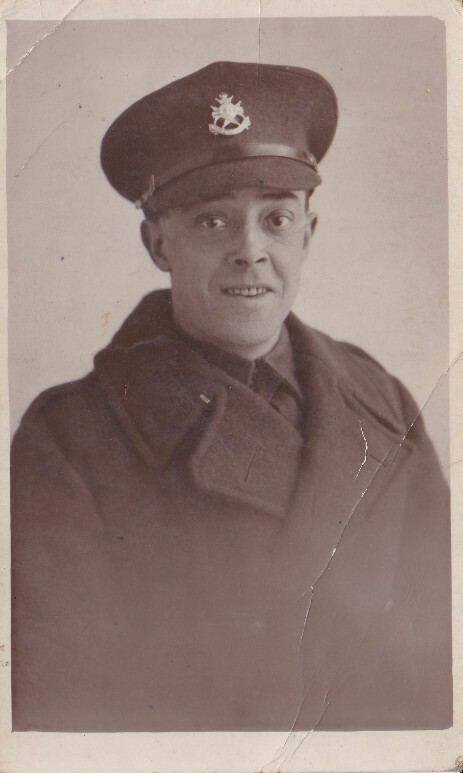 Prior to the outbreak of war, he worked on the Midland Railway prior to enlisting. 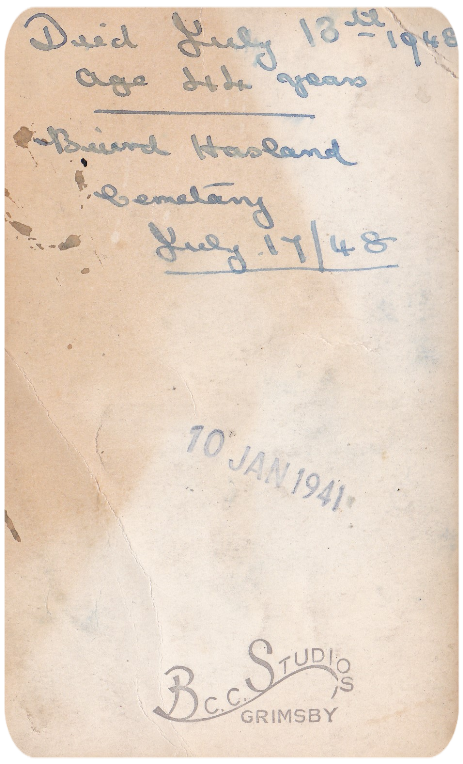 He carried the photograph of his sister, taken 5th June 1940 (My Great Aunt) in his army pass book for most of the war, where it still resides today. He died on July 13th. 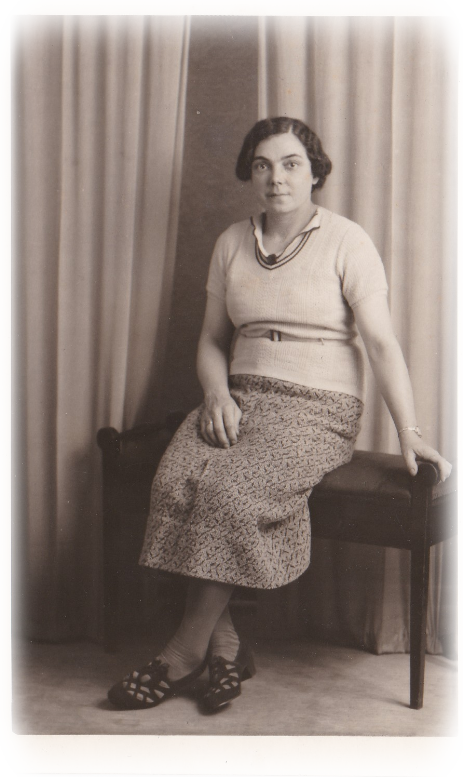 1948 of a form of Tuberculosis and is buried in Hasland Cemetary.